Dank des enormen, (sehr) weich gepolsterten Sattels und der speziellen, die Wirbelsäule wunderbar stabilisierenden Lehne bietet das BC70 das bei weitem beste Trainingserlebnis in diesem Test. 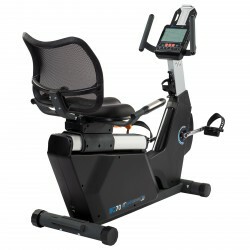 The cardiostrong Recumbent Exercise Bike BC70: compact dimensions and a great training effect! The cardiostrong Recumbent Exercise Bike BC70 is one of the most compact recumbent exercise bikes in the world. Thanks to its space-efficient dimensions, the cardiostrong recumbent exercise bike can be placed in any fitness room. Comfort is also given to taller users. The cardiostrong Recumbent Exercise Bike BC70 is equipped with a well padded seat, which is easy to adjust in horizontal direction and in incline. Persons of a height of up to 2 metres can comfortably work out with the cardiostrong Recumbent Exercise Bike BC70. The backrest of the cardiostrong recumbent exercise bike is flexibly adjustable, the mesh material ensures a pleasant air circulation. The cardiostrong Recumbent Exercise Bike BC70 is designed for an ambitious training due to its eqiupment and workmanship. Thanks to the high-quality design, the cardiostrong Recumbent Exercise Bike BC70 is a durable training partner, which makes regular, intensive workouts possible. The small pedal space offers an optimum of ergonomics and guarantees a very joint-gentle training with the cardiostrong Recumbent Exercise Bike BC70. The cardiostrong Recumbent Exercise Bike BC70 is equipped with an extremely user-friendly, clear console, which provides a precise overview about your current training. Time, calorie consumption, pulse, distance, and many more - you always control your training! The cardiostrong Recumbent Exercise Bike BC70 offers you 16 resistance levels and 12 pre-installed programmes for a diversified training at each fitness level. Further programmes are pulse controlled and are ideal for a very effective training. The cardiostrong Recumbent Exercise Bike BC70 has integrated hand pulse sensors for measuring the heart rate. 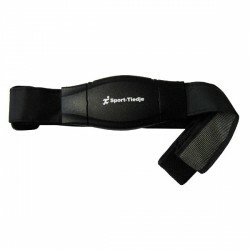 A chest strap, which is available as accessory, can also be used. A memory function allows to use the cardiostrong Recumbent Exercise Bike BC70 with the whole family, for instance. 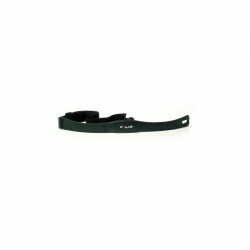 Up to four users can save their individual data and can be called at any time. A bottle holder and practical transport wheels complete the equipment and make the cardiostrong Recumbent Exercise Bike BC70 an excellent recumbent exercise bike for leisure training and ambitious users. It was very well packed. Easy to put together and start using. It is compact, stable. It feels exactly the same as similar machines in the gyms around UK. Sophisticated German engineering at its best. cardiostrong Recumbent Exercise Bike BC70 add to comparison list.